Lulu O’Connor talks to Rosanna Falconer about her journey that lead her to start Clothes Doctor. Inspired by Lulu’s own moment of epiphany over her overflowing wardrobe and its contrast with her mother’s make-do-and-mend attitude to clothing, she sought a solution. Not finding it in the dry cleaners of the capital, she took the ease of the online boutiques from which she once indulged in regular sprees and combined them with a studio of seamstresses in Cornwall, where she was born. 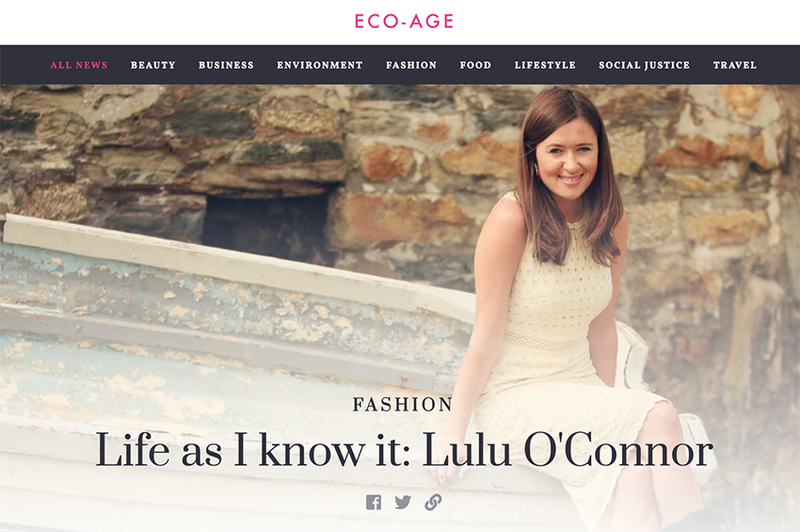 ROSANNA FALCONER DIGS DEEP AND FINDS OUT WHAT MADE CLOTHES DOCTOR FOUNDER LULU O’CONNOR THE SUSTAINABLE, FASHION WASTE FIGHTER SHE IS TODAY.